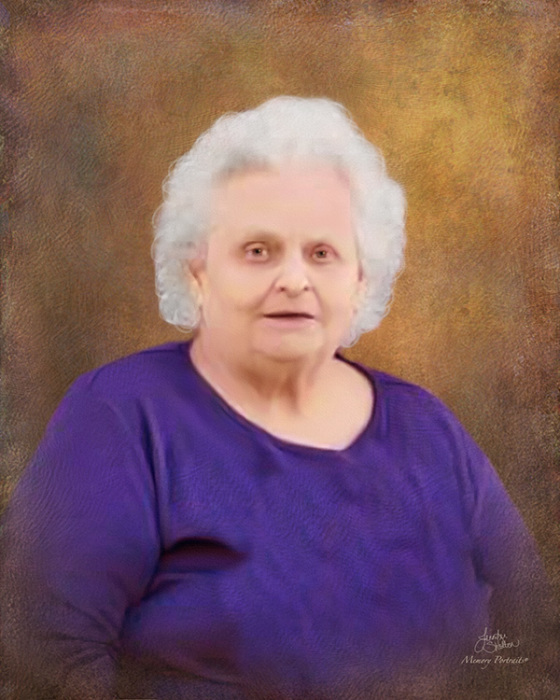 Obituary for Emma Jean (Swearingen) Tyger | Mason-Gelder Funeral Home, Inc. It is with great sadness we announce the passing of our mom, grandma, great grandma, aunt and friend Emma Jean Tyger on March 31, 2019. She was riding an elephant in Taiwan looking for the rare albino tiger while sipping on some wine or a long Island Iced tea, when she was attacked and killed by savage monkeys. Well not really, she was at her home in Florida cared for by her loving family and Gulfside Hospice. She leaves behind a wonderful legacy. She never met a stranger, she had a great sense of humor, and a wonderful laugh, she was sometimes grouchy and sarcastic, she loved animals. She was known for her one liners and inappropriate comments! She loved QVC! She was well loved and loved us all, children Vicki Tyger Rostis of Holiday Florida, Jacki Tyger Beatty of Greensburg Pa, Russell Tyger (Diane Tyger) of Mt Pleasant Pa, David Tyger (Maria Brasco Tyger)of Jeannette PA. She was always our biggest cheerleader and encouraged all of us to do our best. She was a great mom and grandma who taught us to love Chinese food and many other cuisines. Later in life she really enjoyed Facebook And. Will. Be. Greatly. Missed. On. There. She loved to travel and, in her life, went on cruises, and for a time lived in Brazil with her beloved husband Harry Jackson Tyger who preceded her in death in 1988. She lived in Pennsylvania for many years and was born in Indiana County on February 17,1936. She moved to the Jeannette area in 1958 and to Holiday Florida in 2017.She enjoyed spying on the neighbors and running from hurricane Irma while in Florida. She raised her family in Jeannette area and was a busy stay at home mom who watched the Price is Right, Young and the Restless and later in life Naked and Afraid! She went on to enjoy her role as grandma to Nicole Rostis who preceded her in death in 2003, Shanna Rostis(Holiday Fl), Rachelle Rostis Babcock(Ben Avon Pa),Christopher Beatty(Greensburg Pa), Alysha Beatty(Bedford PA), Ashley Stinehart(Columbus Ohio), Nicholas Tyger(Mt Pleasant, Pa), Lauren Tyger(Boston Mass), Jack Tyger(Jeannette pa), Oakley Tyger(Jeannette Pa) Becca Tyger(Jeannette Pa).She went on to enjoy the great grandchildren Alex Tickle, Natalia Rostis, Symone Rostis, Brianna Babcock, Scarlett Babcock, Olivia Stinehart, Noah Stinehart, Jacob Stinehart and Emma Beatty. She has many pets who will be waiting for her on the rainbow bridge as well as her mom, Enola Stephens Swearingen and dad Russell Swearingen and her sister Larue Swearingen Garvin, and her brother Edward Swearingen, and many others. She also leaves her favorite inlaws behind, Sandra and Jim Hoobler, Carol Tyger Hains, Tim Tyger and Kathie Tyger, Larry and Carol Tyger She leaves behind some very sad people and furry friends. The party will be epic on her arrival as she was often the life of the party. She wanted us to celebrate her life and remember not with tears but with smiles and stories of remember when… So let us all do this and continue to carry her in our hearts. Thank you for all the love and support through the years and be thankful she was not sick for long, she did exactly what she wanted to do right up till a few months ago! She died at home with a cat on the bed and peacefully. Visitation will be held on Monday April 8 from 2-4 and 6-8PM in the Mason-Gelder Funeral Home, Inc. 201 N. First St. Jeannette PA. A funeral service will be held in the funeral home on Tuesday April 9th at 11am. Interment will follow at Westmoreland County Memorial Park. To send online condolences visit www.mason-gelder.com.